I’m a fan of movie documentaries, but I can’t remember the last time that I actually went to a movie theater to watch one, especially those that feature creations that were never made. 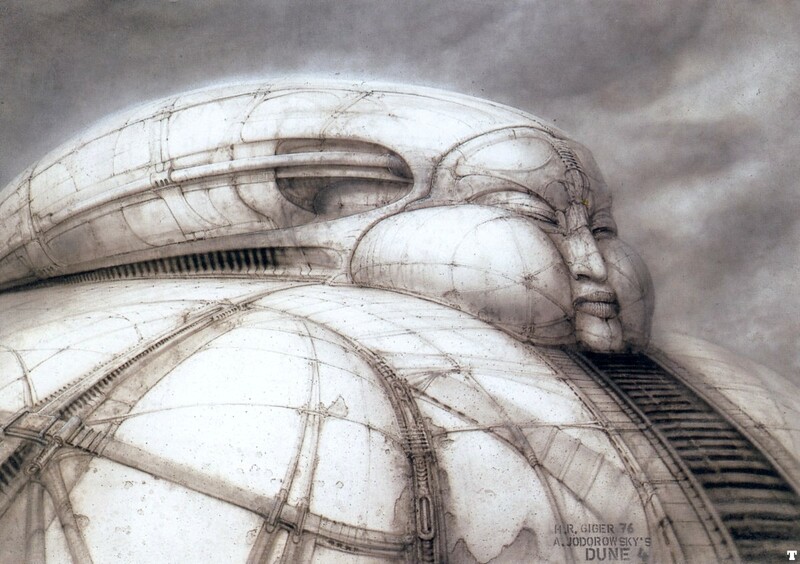 Being a big fan of Moebius and Dune, I caught a screening of Jodorowsky’s Dune, a film by Frank Pavich that tells the story of Chilean-French director Alejandro Jodorowsky’s attempt in the 1970’s to adapt Frank Herbert’s science fiction book Dune into an ambitious 14-hour movie. 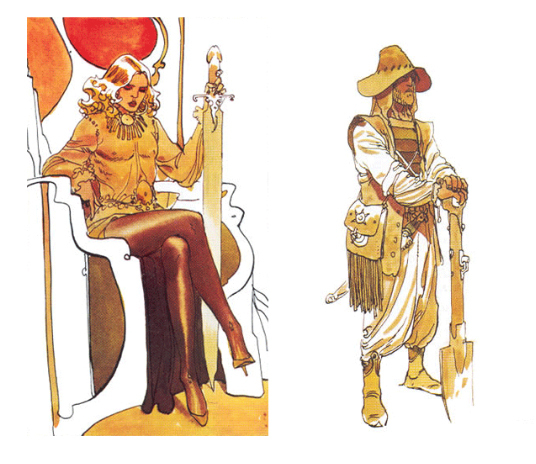 Jodorowsky enlisted French artist Moebius and surrealist painter H.R. Giger to help conceive the designs for the characters and environments for the movie which would have featured an all star cast that included Orson Wells and Salvador Dali. Suffice to say, with Jodorowsky’s avant-garde tendencies in his films, and Moebius and Giger’s surrealist styles backed up by a soundtrack from Pink Floyd, this movie was set to become the ultimate surreal and weirdest science fiction movie ever made. According to Jodorowsky, his ambitions for Dune were “tremendous,” even though he had never actually read the book. His ambitions included creating a “sacred and free” film that would “open the mind.” Judging by the pre-production artwork for the movie, his enterprise was looking to successfully open people’s minds to a new adaptation of Herbert’s work that took several liberties, much to the disappointment of Dune purists and Jodorowsky’s producers. 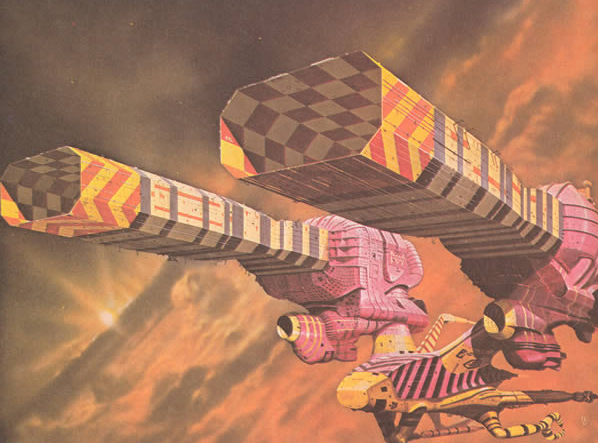 Giger, Moebius and British artist Chris Foss created some amazing concepts for the characters, ships and structures of Jodorowsky’s movie with only just a few bearing some similarity to Herbert’s ideas. The artwork is breathtaking and gives great insight on how the movie could have looked if there was sufficient funding and understanding on the producer’s end to fully realize Jodorowsky’s vision. When Herbert went to check on Jodorowsky’s production, he found that nearly a 1/3 of the movie’s $9.5 million budged had already been used for pre-production, and recalled that Jodorowsky’s script was the size of a “phone book” resulting in a 14-hour movie. It wasn’t too long until the project was stopped and the rights to the book sold to Dino De Laurentiis who would produce David Lynch’s 1984 movie adaptation. I wouldn’t doubt that if Jodorowsky’s version of Dune miraculously came to fruition in the 70’s that it would be a visual spectacle to behold with Moebius and Giger behind the wheel of the artistic direction, but I’m not too sure the story would be just as fantastic. Dune is a pretty complex story with its best iteration still being the original novel. Lynch’s 1984 adaptation, with its amazing visuals for the time, was lambasted by critics as being incomprehensible, with a plot that was “perilously overloaded,” according to a New York Times review. With Jodorowsky 14-hour treatment and additions/changes to the story, his movie most likely would have received the same type of reviews in context to the story and the visuals. Jodorowsky sought to use the basic ideas of Dune and manipulate them to something that he thought would change what could be done in film and the science fiction genre. Unfortunately, Jodorowsky was striving for too much in his overly ambitious adaptation, and the producers knew it. What’s left however, is incredible ideas and massive amounts of amazing works of art that sought to bring Jodorowsky’s movie to life. Frank Pavich’s documentary brilliantly and effectively takes the viewer on a journey through the ideas of Jodorowsky’s Dune and teases us with small animated sequences from the storyboards of the aborted film. One can only hope that somebody would propose and realize a complete film in animated form to bring to life this weird, but wondrous film. a 2 hour version of dune could have been made with the 2 million dollars jodorowsky squandered away, like some spoiled brat. douglas trumball’s “silent running” was made for one million dollars. though, the documentary is still more evidence that lucas’ ‘star wars” is, in itself, a re-writing of the novel dune….complete with lucas’ early/first? draft having to do with some mystical spice involved with…the…star wars.